August 18, 2015 andrewComments Off on Siegecraft Commander Releasing Early 2016! Siegecraft Commander is the latest in the Siegecraft series by Blowfish Studios, and is set to release in Q1 of 2016. The action/strategy battle game series has seen over 1.5 million downloads, and the latest installment is set to release across multiple platforms (Xbox One, PlayStation 4, NVidia Shield, Windows, and the Nintendo Wii U) which is sure to help grow the fanbase even more. Siegecraft Commander will have a new PvP combat system designed to provide players with fast real time decision making or a more thought and tactical turn-based gameplay options. You’ll battle against friends or foes by firing projectiles from your towers. 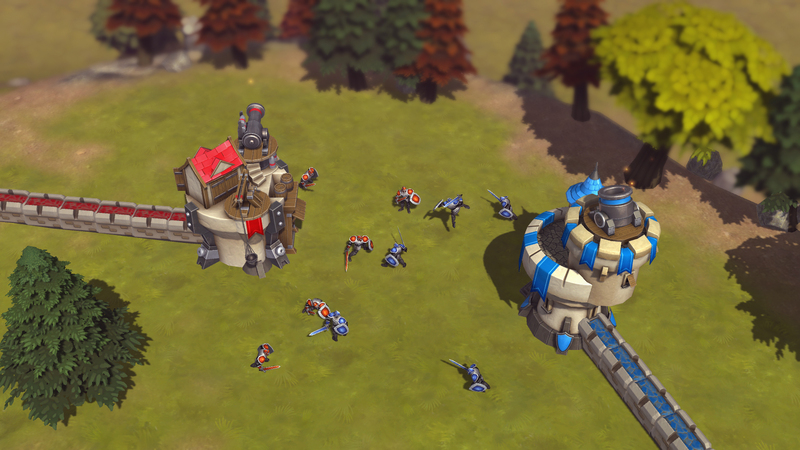 To build additional towers you actually “throw” them from existing towers to help spread your base and up your firepower. To win? Simple: Build up your towers and crush your opponents towers with firepower, but be sure not to forget to keep your own defenses up. For more information on the game, check out Blowfish Studios Website or the Siegecraft Commander website. Again, the game will be launching on PS4, XB1, Wii U, Windows, and NVidia Shield with a release date of Q1 2016.